When you book a balcony, suite, or above by August 31, 2016. ​This is not a cruise. This is an epic adventure to Europe’s most legendary shores. You can roam the ruins of Akitori and tread the seaside path of Santorini. Go by gondola to explore Venice’s iconic canals, and off the beaten path in Rome to savor true cucina Romana. 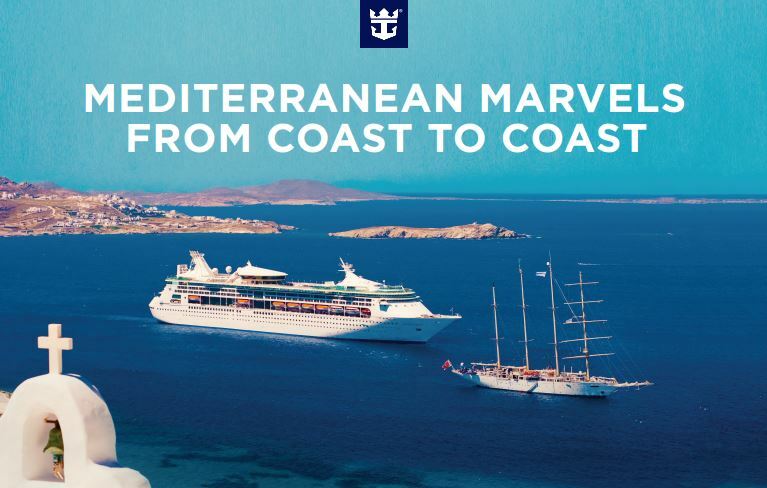 Right now, book your adventure to receive big savings per stateroom....plus 25% savings for friends and family! and start planning your next legendary vacation! 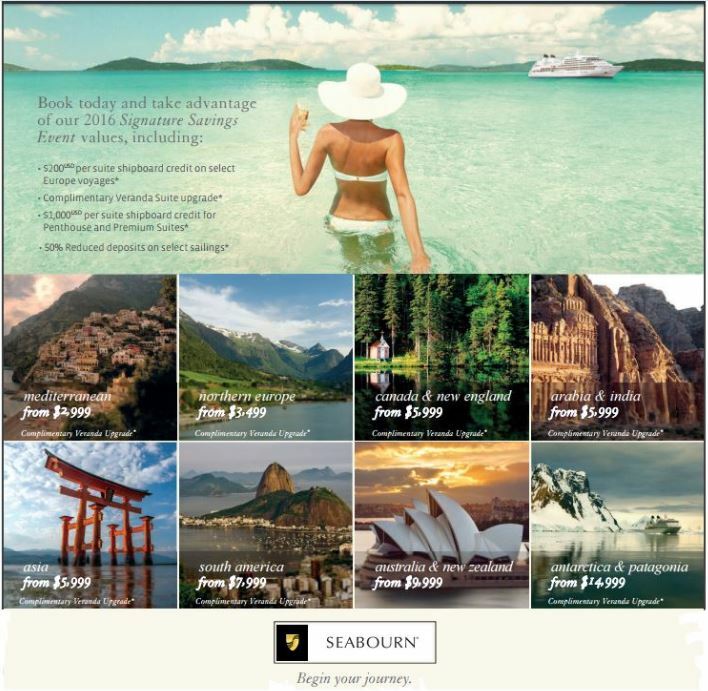 Visit here to find more information, see a few available itineraries, and learn more about Seabourn's company. Love what you see? Give us a call to find out how to make your dreams come true!